After receiving rave reviews at the Toronto International Film Festival, Director Amr Salama’s latest film created a buzz in Egypt, even before opening in local theatres. 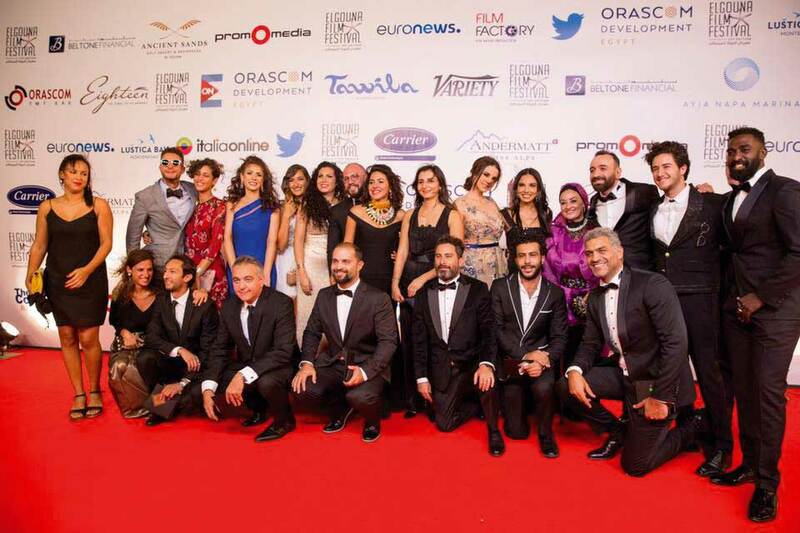 The film was selected to represent Egypt in the Academy Awards Foreign Films category and was also chosen to open the recently inaugurated El Gouna Film Festival’s first edition. With Sheikh Jackson, Salama explores the personal search for identity , a subject that people can relate to universally. eniGma’s Mohamed Hesham got the chance to chat with the man of the hour about his most recent work and the driving force behind it. 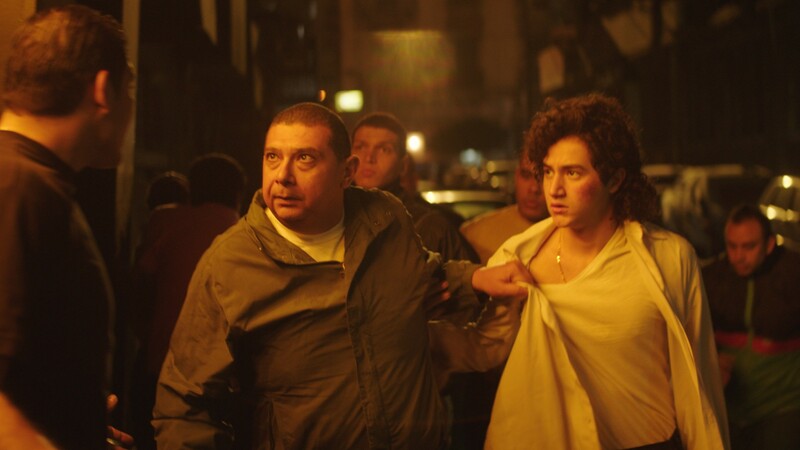 Amr Salama, who also co-wrote the script, describes Sheikh Jackson as a dramedy – part drama with a flavour of comedy – about a religious cleric, played by Ahmed El Fishawy, and Ahmed Malek as his younger self, who experiences an identity crisis triggered by the news of the death of his childhood idol, Michael Jackson. The idea of a film about a religious extremist infatuated by Michael Jackson originally came from Salama’s co-writer, Omar Khaled, who pitched it to Salama three years ago. 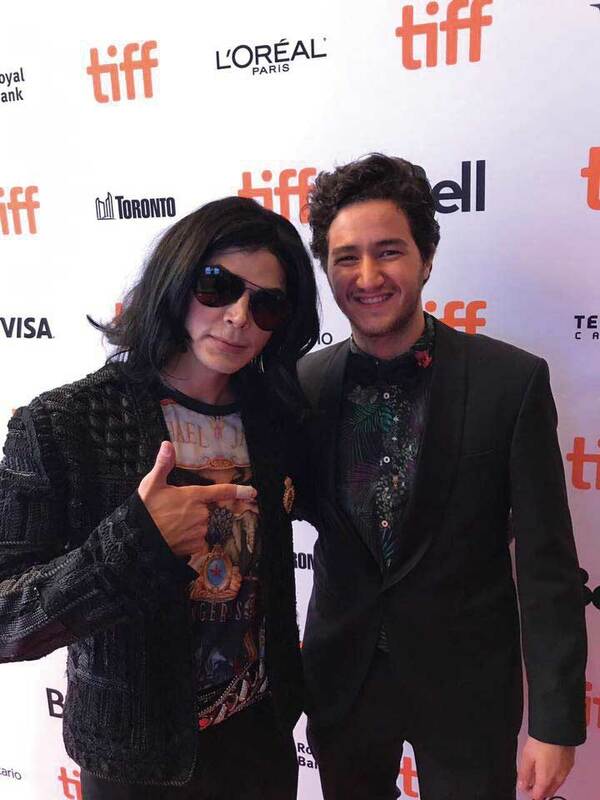 Salama immediately expressed his interest in the project, finding a deep personal connection to the protagonist’s story, as he himself, had been a big Michael Jackson fan and also had gone through a religious phase in his life. Salama thus drew inspiration from his own life and his own experiences as he and Khaled wrote the script together, going through 11 drafts before finally setting on its final form. Using playful contrasts and fantasy dream sequences throughout the film, Salama conveys this bigger meaning of what the Sheikh was going through. “There is a whole sequence where you watch the reenactment of one of Jackson’s music videos. That was, in a way, my homage to Michael Jackson. I felt like this was my biggest tribute to him,” says Salama. Salama faced several hurdles during the making of Sheikh Jackson. He cites teaching the actors how to dance like Michael Jackson as one of the hardest parts of preparing for the film, although he refused to reveal which of the two main leads was the better dancer. “Let people judge that when they watch the film,” he says playfully. One of the most impressive aspects of Sheikh Jackson is its remarkable cast of A-list actors, many of these, like Dorra, Maged El Kedwany, Amina Khalil, Basma, Yasmine El Ra’ees and Salma Abou Deif, participated in the film in small but meaningful roles. “I think they just loved the script and trusted me as a director. So, maybe that’s why they accepted,” Salama notes, when asked about how he assembled the star-studded cast. “Actually, before calling any of them, I was telling myself, ‘I’m sure this one is going to pass,’ and all of them actually accepted. I remember whenever I sent the script to any of the actresses, they were like, ‘I wish I could play the Sheikh.’ They loved that part,” he recounts happily. Sheikh Jackson was also a reunion of sorts for Salama, Fishawy and guest star, Basma, who collaborated ten years ago in Salama’s directorial debut, Zay Elnaharda (On a Day Like Today), released in 2009. “It felt like a reunion. We were laughing and sharing memories about Zay Elnaharda. It was so nostalgic. Here we were, ten years later, shooting another film. A lot of things had changed since then, most notably Fishawy has gotten a lot more tattoos,” the filmmaker adds with a laugh. A key character in the film is the Sheikh’s imaginary hallucination of Michael Jackson, played by famous Michael Jackson impersonator, Carlo Riley. Salama had told producer Mohamed Hefzy that they had to get the best Michael Jackson impersonator out there, and Hefzy found Carlo. “We knew we had to get him, because this would be one of the biggest elements of the film. And this guy is really authentic. When you see him, you realise that you’re not as big a Jackson fan as you might think,” Salama says. Surprisingly, Salama was never worried about the film not making it to the big screen in Egypt due to what may be considered a controversial premise. “I always knew that when people watch it – even the censorship people or the religious people – they will know it is not as provocative as they might have thought. They will know that the hype and controversial image around the film is inaccurate,” he claims. Recounting the film’s reception in the Toronto International Film Festival where the worldwide premiere of the film was held, Salama says it was an amazing experience. “I was really overwhelmed by the reaction. People gave the film a standing ovation. I felt like a Hollywood star, me and the cast,” Salama excitedly recalls. Most of Salama’s work has been for the big screen, although he has notably worked on the popular sketch comedy, SNL Bil Arabi (SNL Arabia). “I think cinematic films last longer. They have the ability to be written into history,” he states. 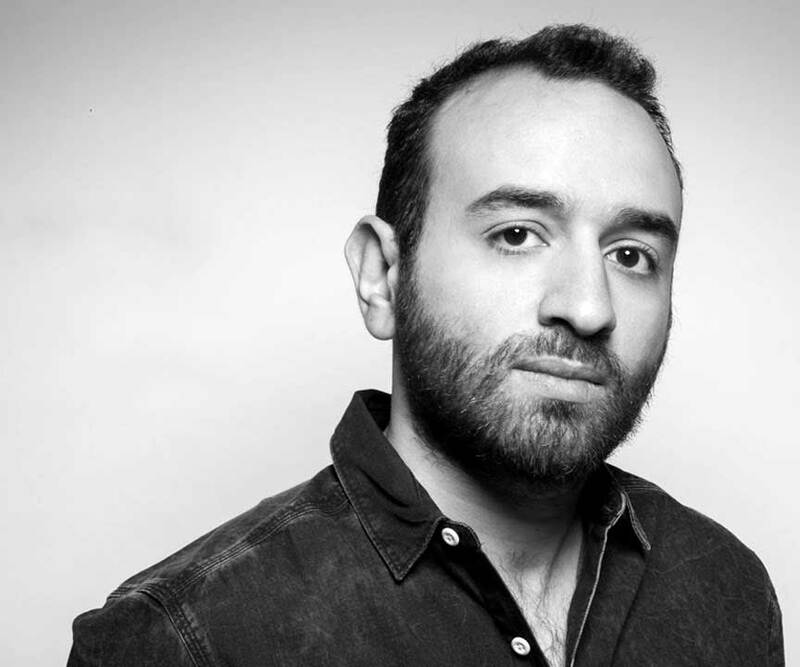 That being said, Salama tells us he is currently in the process of preproduction for his television series debut, directing a script written by Mohamed, Khaled and Shereen Diab, and starring Amr Youssef. Salama likes to make reference to “crossing borders” as a general theme in many of his films, including Sheikh Jackson, as well as Asmaa, which told the story of a woman living with HIV, and La Mo’akhza (Excuse My French), which shed light on religious discrimination in the school system. Through such stories, Salama notes, he makes his audience walk in the shoes of a person they would typically never sympathise with. “My films are about people we would call ‘the other’ and rarely humanise or try to know up close and personal. I think that became a common theme in my films, something which I did not become fully aware of till later on in my career,” Salama admits. Looking ahead, Salama hopes to continue to explore universal themes that resonate beyond Egypt’s borders. Using the uniting language of film, his ultimate goal is to play a part in building bridges and finding common ground with the rest of the world.